Enterprises are beginning to change their buying behaviors based on the deployment speed, economics and customization that cloud-based technologies provide. Gartner cautions however that enterprises are far from abandoning their on-premise models and applications entirely for the cloud. Based on an analysis of the Gartner Hype Cycle for Cloud Computing, 2012, the best results are being attained by enterprises that focus on a very specific strategy and look to cloud-based technologies to accelerate their performance. Leading with a strategic framework of goals and objectives increases the probability of cloud-based platform success. Those enterprises that look to cloud platforms only for cost reduction miss out on their full potential. While the hype surrounding cloud computing may have peaked, cloudwashing continues to cause confusion and inflated expectations with enterprise buyers. This just slows down sales cycles, when more straightforward selling could lead to more pilots, sales and a potentially larger market. Cloud vendors who have the expertise gained from delivering cloud platforms on time, under budget, with customer references showing results are starting to overtake those that using cloudwashing as part of their selling strategies. 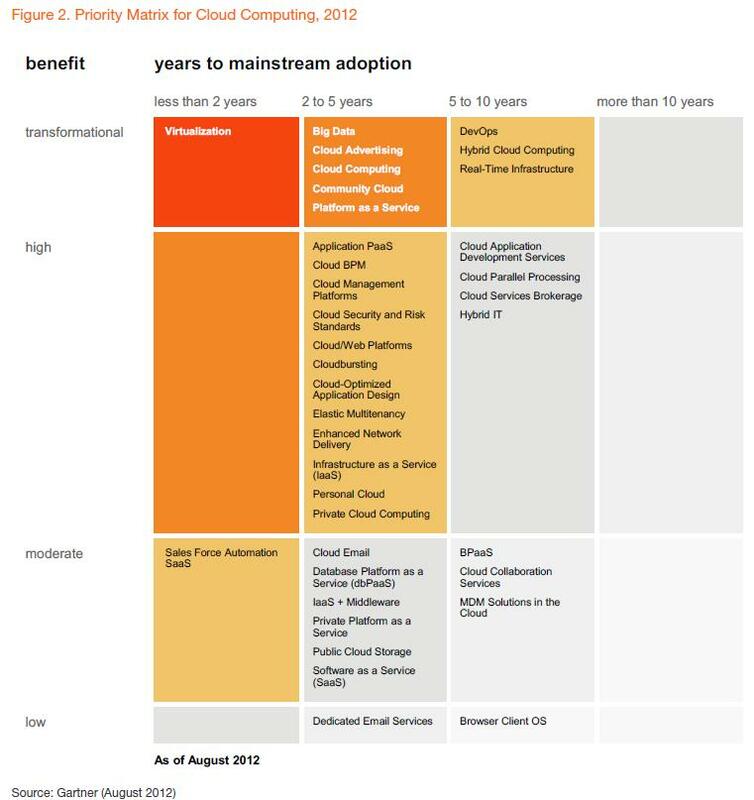 The Cloud BPM (bpmPaaS) market is slated to grow 25% year over year, and 40% of companies doing BPM are already using BPM in the cloud (see “Forecast: Platform as a Service, Worldwide, 2010-2015, 3Q11 Update” and “The State of the BPM Platform Cloud Market, 2011“). Gartner has identified more than 30 bpmPaaS applications and platforms, and defines this category as a model-driven BPM platform in the cloud to construct next-generation process-centric applications for systems of differentiation and innovation. 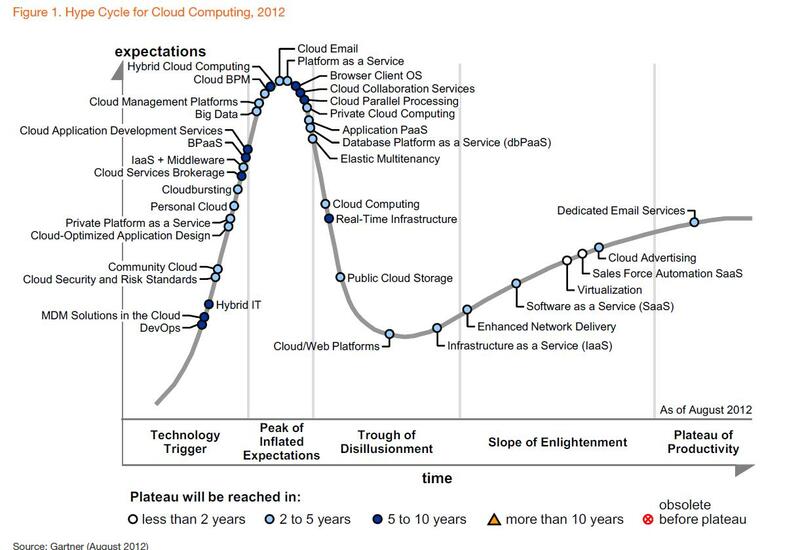 Cloud Email is expected to have a 10% adoption rate in enterprises by 2014, down from the 20% Gartner had forecasted in previous Hype Cycles. This represents modest growth as the adoption rate of this category had been between 5 and 6% in 2011. Master Data Management (MDM) Solutions in the Cloud and Hybrid IT are included in this hype cycle for the first time in 2012. Gartner reports that MDM Solutions in the Cloud is getting additional interest from Enterprise buyers as part of a continual upward trend of interest in MDM overall. Dominant vendors in this emerging area include Cognizant, Data Scout, IBM, Informatica, Oracle and Orchestra Networks, are among those with MDM-in-the-cloud solutions. PaaS continues to be one of the most misunderstood aspects of cloud platforms. The widening gap between enterprise expectations and experiences is most prevalent in this market. Gartner claims this is attributable to the relatively narrow middleware functions delivered and the consolidation fo vendors and service providers in this market. By 2014 the Personal Cloud will have replaced the personal computer as the center of user’s digital lives. Private Cloud Computing is among the highest interest areas across all cloud computing according to Gartner, with 75% of respondents in Gartner polls saying they plan to pursue a strategy in this area by 2014. 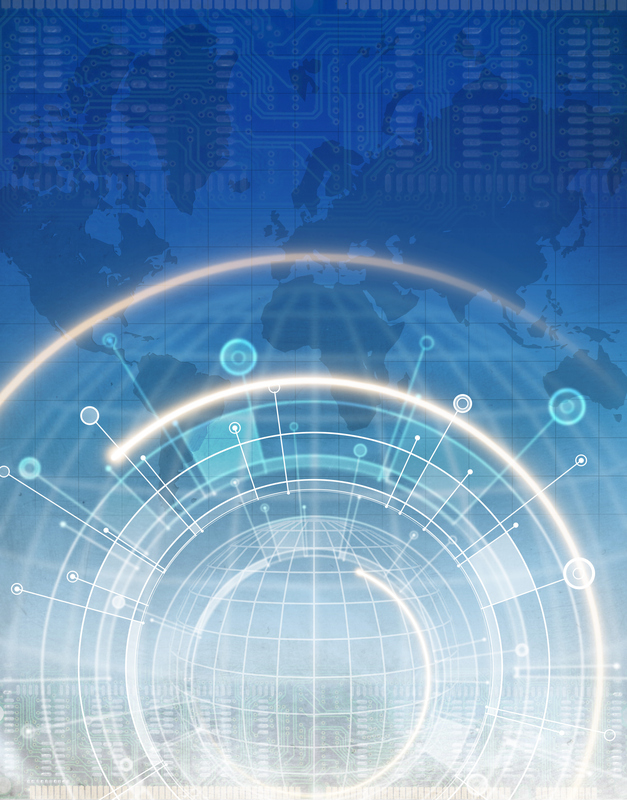 Pilot and production deployments are in process across many different enterprises today, with one of the major goals being the evaluation of virtualization-driven value and benefits. SaaS is rapidly gaining adoption in enterprises, leading Gartner to forecast more than 50% of enterprises will have some form of SaaS-based application strategy by 2015. Factors driving this adoption are the high priority enterprises are putting on customer relationships, gaining greater insights through analytics, overcoming IT- and capital budget-based limitations, and aligning IT more efficiently to strategic goals. More than 50% of all virtualization workloads are based on the x86 architecture. This is expected to increase to 75% by 2015. Gartner reports this is a disruptive innovation which is changing the relationship between IT and enterprise where service levels and usage can be tracked. Bottom line: Gartner’s latest Hype Cycle for Cloud Computing shows that when cloud-based platforms are aligned with well-defined strategic initiatives and line-of-business objectives, they deliver valuable contributions to an enterprise. It also shows how Infrastructure as a Service (IaaS) and Platform as a Service (PaaS) are the catalysts of long-term market growth. 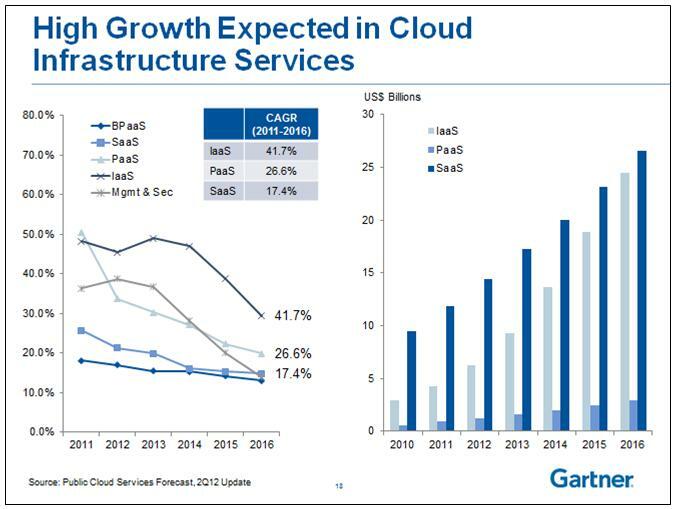 The following slide from the presentation High-Tech Tuesday Webinar: Gartner Worldwide IT Spending Forecast, 2Q12 Update: Cloud Is the Silver Lining (free for download) also makes this point. Carole, thanks for the kind words and yes, most definitely, you can run it on the Cloud Council of 7 website with a link back. I’d be honored to be on your site.